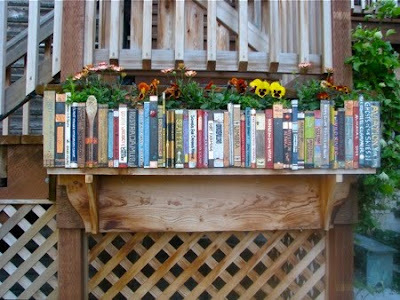 What a sight it must have been! 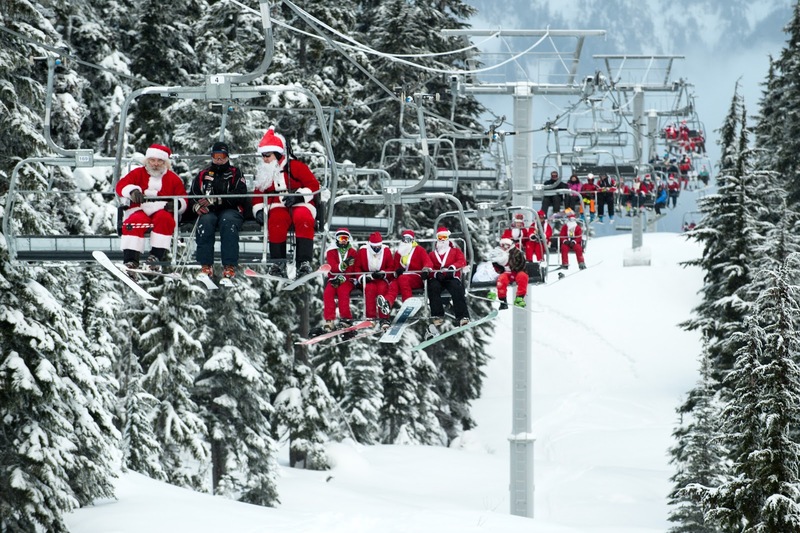 On Saturday, Dec. 17, a sea of red suits and bushy white beards flowed down the mountains at Whistler Blackcomb in British Columbia. 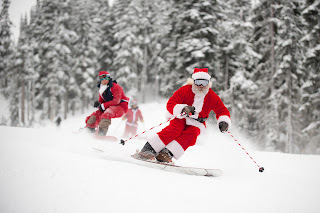 It was the annual Dress Like Santa-Ski For Free Day. 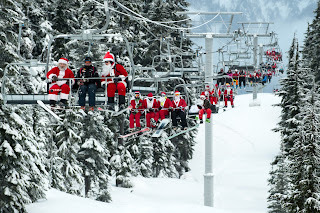 At the crack of dawn, 75 skiers and riders showed up at the base of Whistler Blackcomb decked out in full Santa Claus or Mrs. Claus regalia ... much to the delight of fellow skiers, riders and onlookers.